momentum in the country as the government had successfully reined in the most ticklish problem of energy shortage. 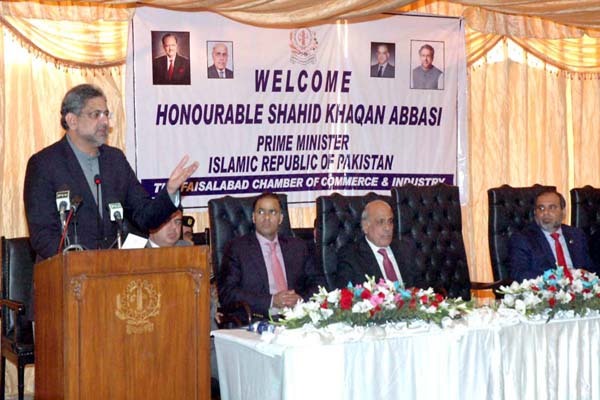 Addressing the members of the Faisalabad Chamber of Commerce & Industry (FCCI) soon after performing the groundbreaking ceremony of car assembly plant of Hyundai Nishat Motor (Pvt) Ltd in M-3 Industrial city near here, he said the government had fulfilled its commitment to overcome electricity and gas shortage and now its focus was to cut the cost of doing business, particularly for the industrial sector. of new industrial units as government had ensured continuous supply of gas and electricity. industry” he said adding its cost had been increased due to ill-conceived policies of previous governments. He said the government would facilitate the private sector by providing them best possible infrastructure in the shape of state-of-the-art industrial estates, motorways, etc. said that he would talk to Punjab Government to allocate land for it. completed as a business adventure. of the province and other provinces should follow suit. it was due to the import of machinery for power and other sectors. powerloom sector on modern scientific lines. issues without any delay. He said that next general election would be held in July 2018.
in Faisalabad and construction of an international airport. by FCCI President Shabbir Hussain Chawla. Chemical Industries were also present on the occasion.